The Chinese Animal Year of the Tiger born child bubbles over with a variety of energies. First, they exhibit humanitarian spirit and idealism. On the other hand, they may also be rash. This dynamic of the Tiger youth is self-regulating, so eventually things even out. Physically the Tiger child is healthy, active and sports-minded. They rarely get colds and other minor sicknesses. Tiger has a ton of energy, and sometimes this child goes overboard. They will push limits physically. Teach your Chinese Tiger youth moderation and how to physically safeguard themselves with simple activities like stretching or using proper protective equipment in sports activities. Tiger children are good “worker bees”. They actually like doing chores. The Chinese Animal Sign of the Tiger is a fiercely independent soul, who endeavors to do things beyond their reach (literally and figuratively). Going to dust that lovely vase on the mantle could well end with a resounding crash. Parents of the Tiger must understand that your child will never be overly verbal. They don’t have a lot of self-confidence and remain short on trust. This means that socialization proves difficult, especially when starting school. Tiger kids end up with many acquaintances eventually, but rarely long term friendships. 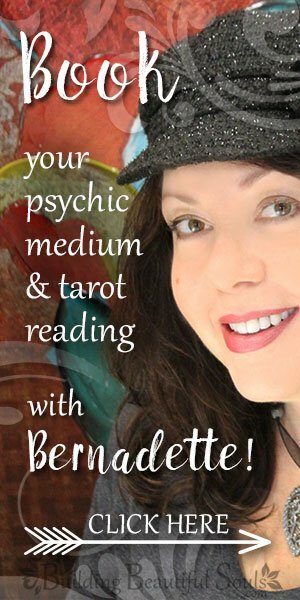 Be patient and provide gentle guidance as they figure out their place in each circle they move through. Within the family, The Chinese Year of the Tiger manifests in children who show their love in unique ways. This child will want to adventure with you, and this makes for excellent bonding time. The best companions for Tiger are those children born in the Years of the Horse, Dog and Pig. Tigers love snuggling when you can get them to sit down for two minutes. Otherwise, they are out and about, seeming to be in perpetual motion. For Tiger-born kids, fun is the name of the game (which can also lead to some trouble). Tiger is never purposefully “bad”. Rather their adventures don’t always come off as planned. Despite a muted norm, when the Chinese Animal Tiger decides to talk they are wholly engaging and incredibly charismatic. A sure-fire way to captivate the Tiger is by asking about dreams, hopes and inventive ideas. Tiger is an optimist that, like any cat, manages to land on his or her feet relatively unscathed no matter what. The Tiger child really wants a place inside the home where they frolic freely. This means getting rather creative supplying your Tiger with safe outlets for that energy. A great toy for Tiger (outside) is a pogo stick or trampoline. 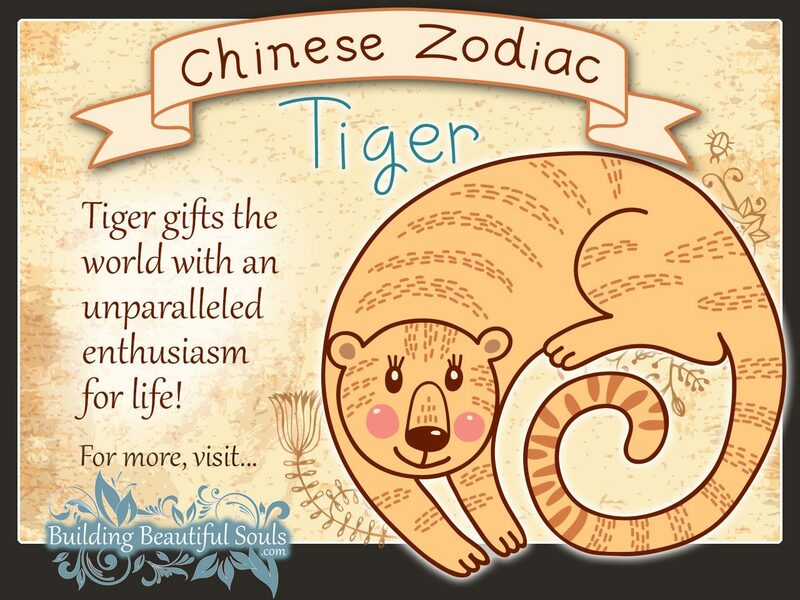 If there is any Chines Zodiac Sign truly made for bouncing it is Tiger! And thanks to impressive agility, they rarely get bumps and bruises even from “experimental” moves. There will be more than one moment in the Tiger’s parent’s lives when they’re tempted to just close their eyes and hope for the best. The upside of this daring personality is that Tiger gets great joy out of trying all these crazy things. Tiger always enjoys a good laugh, even at themselves. Parents find that a Tiger youth is a rebel with a cause. They are impulsive, restless, quick decision makers and a tad on the cheeky side. Tiger always has an opinion on everything and fearlessly expresses that concept as factual. In some ways, those born in the Chinese Year of the Tiger are nearly as obstinate as Bull, but that’s because Tiger engages ideas and life at full throttle. Tiger children are half ego and half heart. They love giving people support particularly for a “quest” that draws his or her interest. This child adopts the wandering, hungry kitten and aches to be the protector of the home. Tiger Spirit in Far Eastern beliefs banishes ghosts and safeguards the house from other threats, like fire. So championing the family doesn’t seem like such a stretch. Humor is one of Tiger’s best gifts and coping mechanisms. When Tiger stops laughing, you know something is terribly wrong. A child born in the Animal Year of the Tiger has a big heart that gets bruised when people don’t appreciate kind gestures. Tiger prides themselves on being a true friend, so disloyalty really hurts. Another gift from Tiger is a pure joy in life. Every new experience and discovery becomes a reason for celebration. From an education standpoint, Tiger has a ravenous, curious mind. With the right teacher keeping Tiger’s interest, they’ll grow beautifully. Without that engagement, the Tiger youth’s mind wanders off into an adventurous fantasy land. They will grow restless and potentially disruptive. Parentally speaking there are two character flaws in your Tiger-born child that require attention. First, they are rash. Thought turns into action without measuring all the possible outcomes. In an odd dichotomy, Tiger also shows signs of indecisiveness. So you are caught between the child running off, and the one who second guesses themselves into inaction. When you find your Chinese Tiger sad or frightened turn on your nurturing instincts. This is not the time for a lecture or life lesson. Offer sympathy and supportive words. You can readdress the issue later when Tiger’s mind settles. During Teen years kids born in the Chinese Zodiac Year of the Tiger can become aggressive. It is very important to establish your family pecking order before this happens. Otherwise, Tiger displays anger and frustration with boisterous displays that impress no one. Parents, watch for signs that Tiger is reaching the boiling point and endeavor to calm the waters through compromise for best results. Girls born in the Chinese Animal Year of the Tiger love their independence. They are kind, strong and make natural leaders among their peers. Tiger girls gravitate toward people they find interesting and sometimes challenging just to keep things interesting. Her magnetic nature naturally attracts people anyway, and Tiger is one of the few Chinese Zodiac Signs that seems to get along with the other 11 with little effort. The Tiger girl has potent emotions and passions, particularly when they reach teen years. This directly affects their need for freedom. All of a Tiger child’s relationships have “bumper room” where she can sort out her emotions. Students of the Chinese Zodiac tell us that the female Tiger has what some might consider masculine traits. She is uncompromising (Parents beware), defiant, self-driven and an impressive force of nature once she puts her mind to something. This girl will never stand behind anyone for safety. Hers is a life lived by courage and zeal. No matter the age, this Tiger-born child drives the car of her life toward destiny. Those who get in the way may get run over. Half-hearted efforts are not in this child’s toolbox. Laziness is a pox in which she never indulges. All this leaves Tiger parents taking deep, cleansing breaths a lot, knowing full well they face a struggle whenever laying down rules and constructs other than what Tiger thinks best. Like many born in the Chinese Zodiac Year of the Tiger your daughter feels deeply about equality. Wherever something seems unbalanced, she will endeavor to step into the fray. Sometimes that gets her into a scrap, but it’s hard to be angry when she fights for the underdog. Tiger children are the ultimate nonconformist. They will wear mismatched socks, and develop a style that’s likely to change as the mood strikes. Sometimes Tiger becomes too serious and critical if people push her toward a “norm”. She is obsessed with success and often judges self-worth by that measure. In other words, she has high aspirations for herself. When a goal doesn’t manifest, it takes a lot of wind out of Tiger’s tail. For the Chinese Tiger young lady it is hard to swallow that one cannot win ALL the time. A parent’s challenge is teaching the Tiger the art of failing gracefully. Morally, girls born in the Year of the Tiger are ethical and honest. If she makes a promise, it would take heaven and hell to make her break it. She has no patience for other children perceived as deceptive. And woe to the person who dares to question her morals – that’s when the teeth come out. Like all Tigers, this girl loves learning. Many Tigers go on to various levels of higher education because of the thirst for knowledge. Her mind is sharp and flexible. Explain something to her once, and it goes into the mental files for future use. Two downfalls for your daughter born in the Chinese Zodiac Year of the Tiger are pride and intolerance. The high expectations she holds for self extends to other people. It is a rare person who can meet that lofty prospect. When failure happens to another, Tiger loses respect and potentially walks away from that acquaintance. In this, parents can guide the Tiger to a greater understanding of human foibles, including within themselves. The boy Tiger is just as impetuous and strong as his sister. If you have two Tiger-born children in the family, whew… talk about power struggles. Boy Tiger is the risk-taker (keep good medical insurance, folks). Oddly most risks Tiger wrangles work out for him. There is a lucky paw in the Year of the Tiger’s pocket that follows him through life. This sometimes leads Tiger into conceited attitudes. Rein those in as soon as possible. Humility is a tough pill for your Tiger son to swallow. Parents of the Tiger boy see two distinct sides of their child. Externally a son born in the Chinese Year of the Tiger seems pretty together and, dare we say it, somewhat normal. Inside, however, Tiger harbors a “bad boy” that makes belligerent demands. Add to that an iron-clad will and Parents truly have their work cut out for them. The best way to temper a Tiger is by distracting them with a task that they truly care about. That re-directs Tiger from egocentric thinking to a group cause. Tiger boys love the outdoors. When old enough they’ll want to trek through the woods, climb trees or sit contemplatively by a babbling brook. This alone time is very important for Tiger children and adults alike. It restores a metered center and improves focus. Parents should honor that space within reason. Among his peers The Chinese Animal Zodiac predicts that Tiger will move into a leadership role fairly quickly. They love a challenge and if they can take a few folks along for the ride, all the better. Tiger encourages hard work in others, and expects it from himself. People born in the Year of the Tiger have five sub-sets of characteristics. The Wood Tiger is an open book filled with compassion. Fire Tigers are difficult to manage akin to their Element. Earth Tiger has a realistic view of life and strong faith. Gold Tiger has enthusiasm matched with stubbornness. Water Tiger has a strong ego and the ability to learn very quickly.